Canada should make moves to "correct the mistakes it made earlier" amid a brewing diplomatic and trade row following the detention of a Chinese telecom executive, China said today after suspending the licence of a second Canadian canola exporter, citing safety concerns. China says Canada should make moves to "correct the mistakes it made earlier" amid a brewing diplomatic and trade row following the detention of a top Chinese telecom executive. China said Wednesday its suspension this week of the licence of a second major Canadian canola exporter — Viterra Inc. — is justified by safety concerns. Chinese Foreign Ministry spokesperson Geng Shuang said China's actions are "scientific and reasonable." But, he added, Canada should "take practical measures to correct the mistakes it made earlier" in dealing with the overall relationship. China cited hazardous organisms in shipments in suspending the licence of Viterra's canola seeds on Tuesday. The latest punitive measure is a blow to $2 billion worth of exports and widely seen as retaliation for Canada's December arrest of Meng Wanzhou, the daughter of Huawei's founder, at the behest of the United States. China halted imports from Canada's other major canola exporter, Richardson International Ltd., earlier this month due to hazardous organisms allegedly found in the company's product. Without mentioning Huawei directly, Geng said China hopes Canada can "get along with us to ensure the sound and steady development of China-Canada relations." Canadian farmers say the moves have left them facing uncertainty just ahead of the planting season, which begins in mid- to late-April for many farmers. "There is a lot of confusion amongst farmers about what is able to be exported," said David Quist, executive director of the Western Canadian Wheat Growers. The Canola Council of Canada said all its members have reported that Chinese importers are unwilling to purchase their products. Both wheat and canola groups have called on the government to send a delegation to China to address the issue. 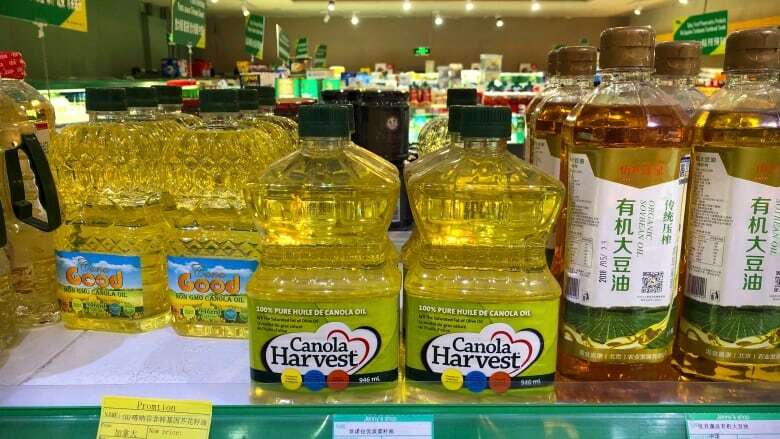 China — a major market for Canadian canola that accounts for about 40 per cent of Canada's exports of canola seed, oil and meal — is the sole country to raise a technical issue with the product. Canadian Prime Minister Justin Trudeau mentioned the possibility of sending a delegation during a stop in Winnipeg on Tuesday. "We know that the canola produced here in Canada is top quality, and the oversight, inspection and science that surrounds what we do here is top-notch and world-class, and that is certainly something that we are going to continue to impress upon ... our Chinese interlocutors on this issue," he said.